Create vivid facial animations with audio lip-sync and puppet emotive expressions with motion key editing. 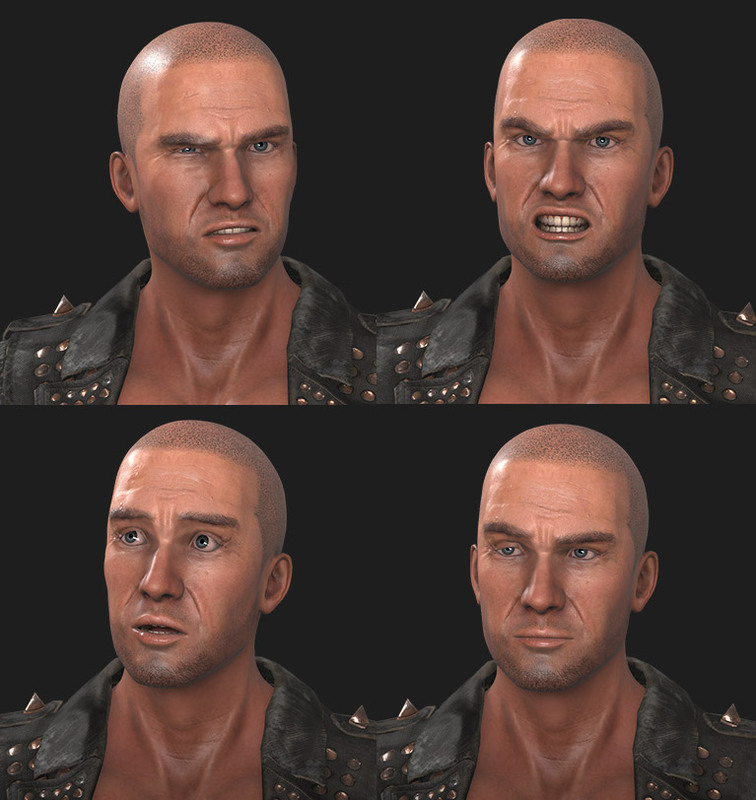 The number of facial morphs has now increased from 30 to 60, giving you unmatched facial precision for mouth, cheek, eye, and other facial feature animation. iClone 7 facial architecture meets professional face tracking specifications, opening a new door for real-time facial mocap! The brand new Associated Movement feature humanizes eye movements with secondary animation of eyelids that follow eye position. Users now have access to more puppet options and strength adjustment sliders for solo features as well, which expands puppet animation power significantly. There are now three levels of face key editing organized into three new tabs. Start from facial muscle nodes, a library of expression presets, and also a detailed blend shape slider adjustment tool. To further enhance facial clips generated from face puppeteering, or facial mocap with iPhone or Faceware, iClone 7 provides separate tracks to individually edit facial muscles, eye direction, and head rotation. You can aggregate all that info into a single motion clip and then add further face key adjustments for unparalleled customizability of your facial animation.